As a business owner in Canada, you probably already know that there are some customers that are never pleased. It doesn’t matter how far above and beyond you go for them. You just can’t make them happy. With that being said, this might result in a claim being filed against your insurance. Of course, this is one of the main reasons that you have professional liability insurance in the first place. Do not delay this process and there is a turn around time with getting professional liability. This whole situation can be disheartening. Your first response might be to fire back at the customer with a nasty response, but this would be a major mistake. Before you react irrationally, you need to completely understand how a claim works and all the aspects surrounding it. No one wants to be sued, and no one ever expects that it is going to happen to him or her, but you might be surprised to learn that 13% of small businesses such as advertising agencies are sued. 47% of small businesses says that these charges have had huge negative consequences on their company’s revenue. 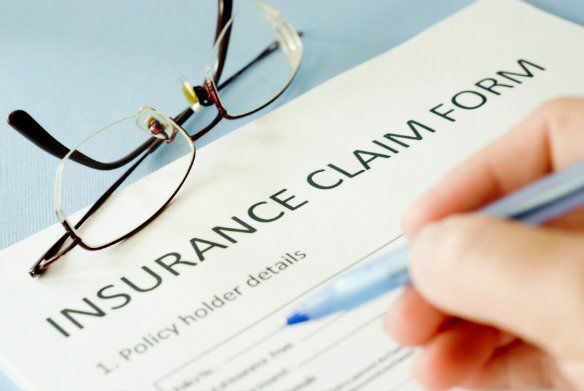 Whatever the situation is, you need to know that once a claim has been filed, your first course of action should be to get in touch with your insurance provider. Even if you suspect that you are being sued, you need to get in touch with your provider immediately. In fact, most professional liability claims are written as a claims-made policy, so not getting in touch with your provider could put your coverage at risk. The problem with most small businesses such as adoption agencies is that owners are so flustered by a claim that they hide documents that they think that could potentially hurt their case. However, the truth is that this documentation could actually clear their name. Some of the information that you need to gather and have ready for your provider is contracts, e-mails with the client, service contracts, receipts, and invoices. Just keep in mind that holding back information is only going to make your provider and lawyer unprepared, so always be ready to turn over all necessary documentation. In most cases, the customer will contact a company before they decide to file a claim. This gives the company ample opportunity to attempt to settle the claim. If a settlement cannot be reached, the client will then file the claim against the company. This process is never easy, since it involves doing research, proving your case and gathering the needed information for the claim to be processed. To file the claim, it takes a lot of determination and diligence to even get the complaint to the right person. One thing is for sure the plaintiff will need to gather information about the incident, parties involved and the process they took to attempt to settle the case. If the incident involves a product that caused an injury, you will need to provide the insurer with the details of the product, including warranty information and serial numbers. If the incident involves accidental or intentional damages caused by an employee, you will need to include the names of all people involved, date of the incident and the details of the incident. Following that process, insurance adjusters get involved prior to payouts. In today’s world, some people who are strapped for cash will utilize proceeds from lawsuits to pay for their living expenses. Frivolous lawsuits are just as damaging for a company as legitimate claims. It is up to the brokerage or insurer to make sure the allegations are legitimate. Through investigation, which can take anywhere from a few days to several months or years, insurers can determine if the allegations are frivolous or legitimate. One of the most common claims that insurers deal with have to do with contractor insurance policies in Canada. Since construction professionals often lack documentation or formal contracts with their subs and clients, they become an easy target. Once the application is received, the insurer will initiate an investigation. They insurer is a neutral source, so they will not lean toward the plaintiff or the company. Your professional liability insurance provider is going to provide you with a lawyer and it will be essential to work with him or her to get the issue resolved as soon as possible. You want to free your schedule for meetings, answer every question, have all your records prepared and ready, create a timeline of the events leading up to the claim, and be ready to negotiate a settlement. During the whole process, if you feel more comfortable, you can have your own personal attorney present. It is pertinent to realize that you are the business owner and you will always be in charge to some degree. This doesn’t mean that you’ll be able to completely end each and every claim that you face. Nevertheless, there is always a chance that you’ll be able to successfully negotiate outside of the courtroom. You should always make clients aware that they’re able to contact you at any given time. Your customers should be willing to contact you and make complaints whenever they see fit. Criticism is always bad, but it could play into your favor. By addressing criticism and complaints as early as possible, there is a possibility that you’ll be able to solve the client’s problem outside of the courtroom by using a mediator or arbitrator. In return, this could help you avoid the claim process and paying tens of thousands of dollars to a lawyer or attorney all together. Unfortunately, this doesn’t always happen. 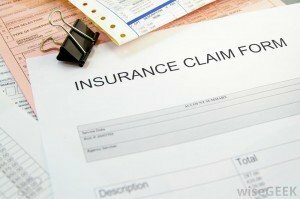 If a claim is ultimately submitted, you’ll need to contact the insurance company to learn how to move forward. You should remember that almost all Canadian insurance companies require you to work with a broker for professional liability insurance. When attempting to sign up for insurance with Aviva or Intact, you’ll need to find a broker. With that being said, you would probably think that your broker would be able to help you with claims as well. This is sometimes true, but it is not always the best way to move forward. The unfortunate truth is that a lot of brokers know very little about the claims process. Therefore, some of them will not even be able to help. Before working with a broker, you should make sure that they know all about the claims process. Be sure that your broker can articulate coverages provided under a professional liability insurance policy and he or she will actually be able to help you solve claims filed against your company. This will help to ensure that you’re able to get assistance from your broker when you need it the most. You should remember that it is the insurance company’s job to decide who wins the claim. Once they’ve received testimony and documents from both parties, they’ll begin investigating the situation. After a thorough investigation, the insurance company will either side with the business or the consumer. There is very little that you can do at this point. You simply have to wait it out and see what the company decides to do. Depending on the outcome of the claim, there is a possibility that it could lead to a civil lawsuit.